SOLD- DECEMBER 2017! 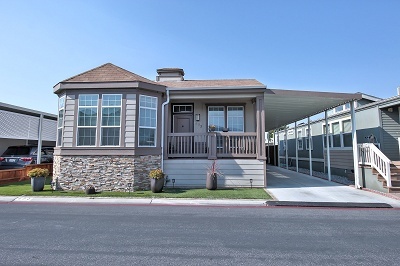 -CASA DE AMIGOS #873-Located in the heart of Silicon Valley in the all-age family community of Casa De Amigos, this 3 bedroom, 2 bath home is gorgeous throughout! The healthy curb appeal will instantly make you feel at home with its welcoming feel. Enter the open living room with 9' flat coffered tray ceiling with an attached fan, crown molding, large windows, beautiful stone stacked fireplace, and wood laminate floors. 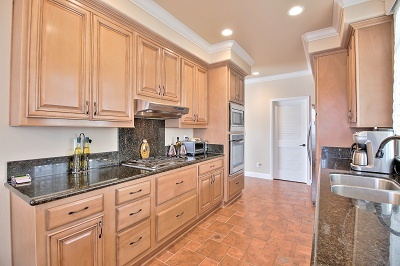 The kitchen features custom tile floors, granite countertops, ample cabinets, and stainless steel appliances. Walk down the hallway past the 2 bedrooms and you will find the master bedroom, showcasing a large walk-in closet and luxurious tray ceiling with an attached fan. 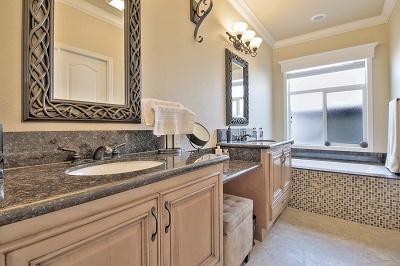 Just off the master bedroom is the private bathroom with his and her sinks, granite countertops, a walk-in shower, and a large soaking tub. The home also has a fenced-in side yard that is perfect for outdoor entertaining or relaxing in privacy. The large shed, ADT alarm system, washer, and dryer are also included with this home. 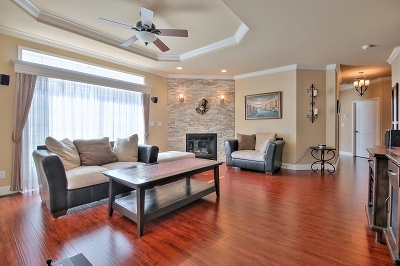 Don't miss this chance to live in one of the most sought after family communities in the area! Call (866) 494-8993 today to schedule a viewing of this phenomenal home! 2012 Skyline Serial #: 2G700189FA/B HCD #: DL1164796 *List price excludes closing costs & escrow fees. *Information deemed reliable, but not guaranteed.